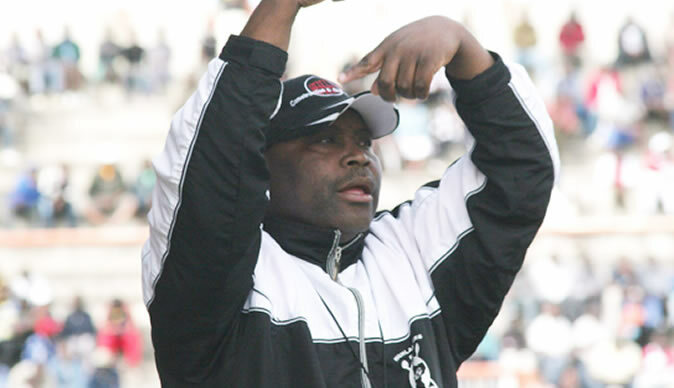 FORMER Highlanders coach Madinda Ndlovu has reportedly signed a three-year contract to be the club's new coach, revealed sources at Emagumeni. The Bulawayo giants have been coach hunting since the departure of Dutchman Erol Akbay who left the club amid financial frustrations. "Madinda (Ndlovu) has signed a three-year contract with Highlanders. They reached an agreement on Monday," said the source. The source said Madinda is willing to work with Bekithemba Ndlovu and Tembo Chuma as his assistants. "The incoming coach wants Bekithemba (Ndlovu) as his assistant and Tembo Chuma as his goalkeeper's coach as well," added the source. Madinda's manager Hosea George Bhebhe confirmed the new romance with Bosso but played down reports that his client has already put pen to paper. "Yes there is something going on between us and Highlanders," said Bhebhe. "We haven't yet finalised the relationship but we are very close to sealing the deal. I will let you know when we finalise," added Bhebhe. There are reports that the club want to do an official unveiling of their new man and have decided to keep the deal under wraps, for now. Highlanders acting chairman Modern Ngwenya also played down the reports but did not dismiss it. "Madinda is a Highlanders son and we will give you an official statement. We will do the unveiling when the time comes but we are aware that people are talking of something like that," he said. The former Warriors striker who left Opara United in Botswana last month watched Bosso developmental sides playing at an invitational tournament held at Bhagani in Plumtree last Saturday. There are reports that he wants to introduce a youth policy in what has been termed 2018 strategy to revive Bosso. "There is going to be a lot of changes at Highlanders come next season. "Madinda watched the Bosso Under-18 and the Bosso Division One players at an invitational tournament held at Bhagani in Plumtree last Saturday and he was charmed with the youngsters. "He (Madinda) indicated that he will be using youngsters for next season meaning most old players are on their way out of Bosso," the source added.